A system to manage your feedback and make better product decisions. Save feedback to Savio with a Chrome extension. 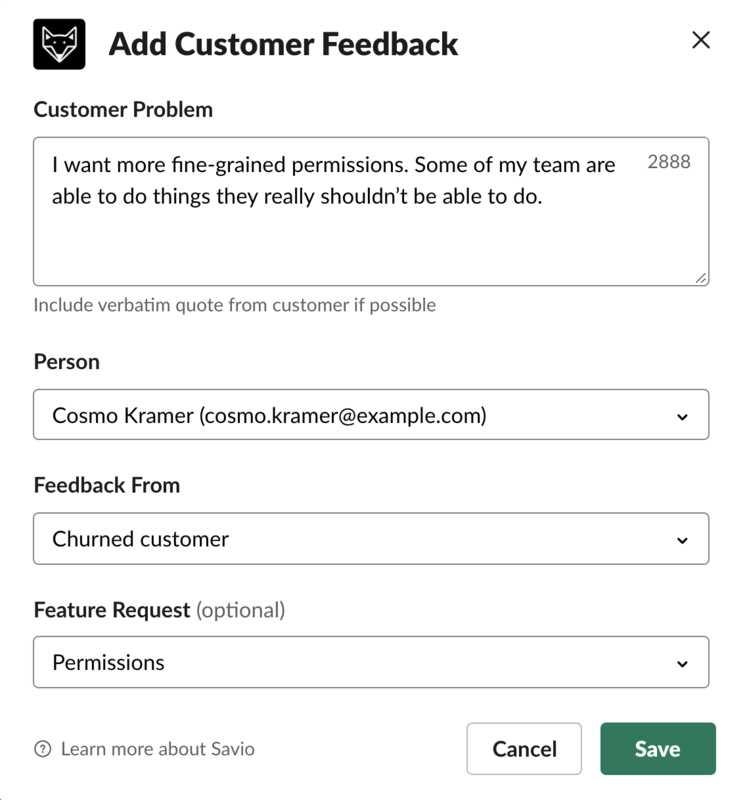 Your teammates never leave their Support tool, CRM, or Google doc to save feedback into Savio. 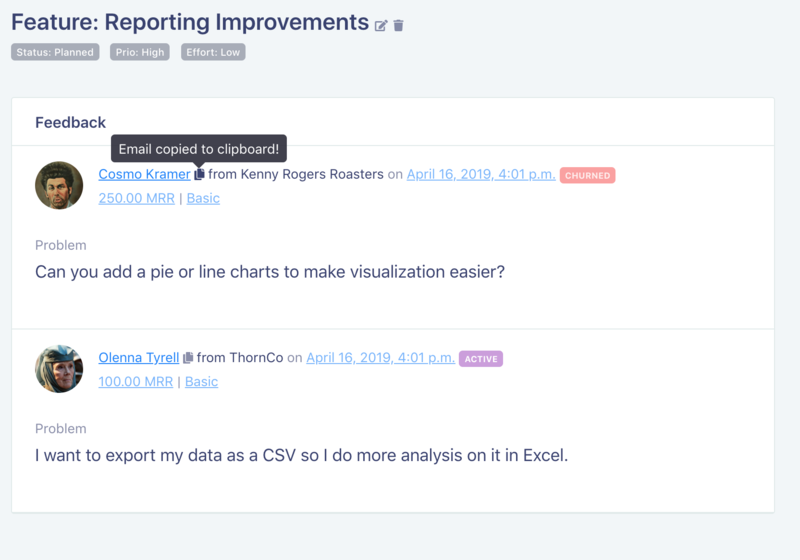 Communicate feedback from Support, Sales and Success to Product online with a purpose-built tool instead of time-consuming meetings and spreadsheets. Quickly push feedback shared in Slack to Savio. 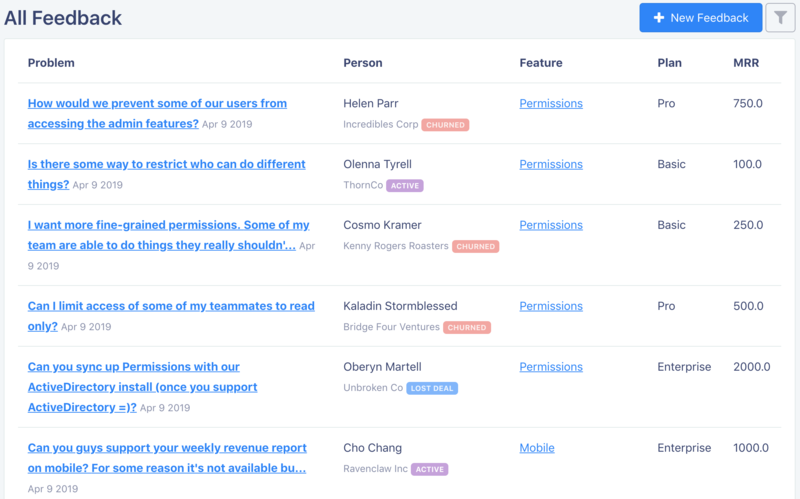 Integrations to push feedback from Intercom and Zendesk coming soon. Focus on the customers you care about: segment your feature requests by customer plan, MRR, keyword, and more. See at a glance how many times a feature has been requested, cumulative MRR of the customers who requested a feature, and plans they're on. Before building, find and reach out to interested customers for input. After you launch, thrill your customers and tell them you’ve built what they asked for! Track customer feedback. Build great software. "What features do my Enterprise customers want?" "Which customers have asked for a better Search feature?" "How many customers have asked for better reporting?" "What does our feature list look by when sorted by number of customer requests? What about sorted by cumulative MRR?" Focusing on your Enterprise customers this quarter? See feature requests that they've asked for. Just care about customers paying more than $500 / month? See the features they've requested instead. Savio imports your customers from Intercom, Segment, or via API. Savio also imports MRR and plan to develop features for the key customer segments you're focusing on.